The Muslim woman who spoke of Saudi-funded mosques and the spread of Wahhabi Islam in Thursday’s Question Time (#bbcqt) was spot on. What makes Wahhabism so damaging? We don’t have to look further than its ideologues, such as its founder Muhammad ibn Abd al-Wahhab who is refered to in ISIS publications. His preaching was vehemently intolerant and violent. Anyone who disagreed with his narrow understating of Islam was considered an apostate and would be punishable by death. His preaching brought bloodshed to the Arabian Peninsula in the form of beheadings, executions, and amputations, much like what we have witnessed from ISIS. 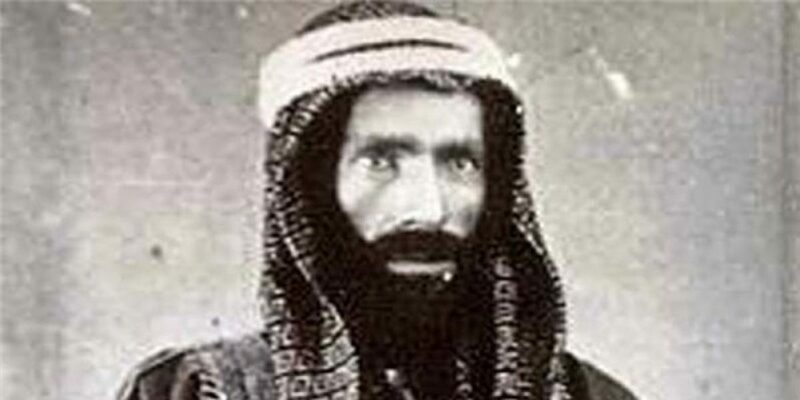 A former imam of the Grand Mosque in Mecca, Sheikh Aadel Al-Kalbani, Al-Kalbani, criticised aspects within the Salafi stream for permitting the killing of opponents. He announced that ISIS was the result of the Salafi version of Islam, and therefore the Salafi sect needed to change. It could be argued that the difference between Saudi Arabia and ISIS, is that Saudi Arabia merely has nicer buildings. There is no taming a theology, which consists of noxious principles. What makes it worse is that this ideology has spread far and wide in the UK. In 2007, Dr Denis MacEoin, an Islamic studies expert at Newcastle who previously taught at the University of Fez, led a team of researchers over a two-year project, uncovering a hoard of malignant literature inside as many as a quarter of Britain’s mosques. All of it had been published and distributed by agencies linked to the government of Saudi Arabia. Among some of the content found in the material were recommendations to burn, stone, and throw homosexuals from mountains or tall buildings, and inflict the same on those who commit adultery or dare to leave or change their religion. Almost half of the literature, which was openly available in many mosques including the East London Mosque in Whitechapel which had been visited by Prince Charles, was written in English, suggesting that its target audience was that of young British Muslims who would have no formal training in Arabic or Urdu. It is estimated that Saudi spending on religious causes abroad are between $2bn [£960m] and $3bn per year since 1975 (comparing favourably with what was the annual Soviet propaganda budget of $1bn during the cold war), which has been spent on 1,500 mosques, 210 Islamic centres and dozens of Muslim academies and schools. It is no exaggeration then to say that these mosques are little more than propaganda factories producing Wahhabi ideologues to populate the streets of Britain. In 2002, Jamaican convert Sheikh Abdullah el-Faisal who had trained at a Saudi university, was caught on tape saying “You can use chemical weapons to exterminate the unbelievers. Is that clear? If you have cockroaches in your house, you spray them with chemicals.” Germaine Lindsay, one of the 7/7 bombers, was among his followers. This was in 2002, and though the Saudis began to cut back on their international funding after they came into the spotlight following 9/11, imagine how deep the roots of Salafist thought have embedded themselves in British mosques today. In addition to funding their propaganda in Britain, at home in Saudi Arabia, the Islamic University of Medina reserves 85% of its places for foreign students, resulting in hundreds of British graduates who have returned to the UK with their newly found hard-line Salafist views. When discussing extremism and radicalisation in the UK, the elephant in the room, without a doubt, is Wahhabism. ISIS, Al Qaeda, Boko Haram, and other terrorist groups all subscribe to this hostile intolerant reading of Islam. If we are serious about challenging extremism, surely we should start by stopping the mass export of intolerance and hatred of Wahhabism from Saudi Arabia to the UK.